Bring dawn all ingredients and reach 180000 points to complete the level. This level have normal difficulty and required you to play with few steps to easily reach requirement with balancing the Odus owl. 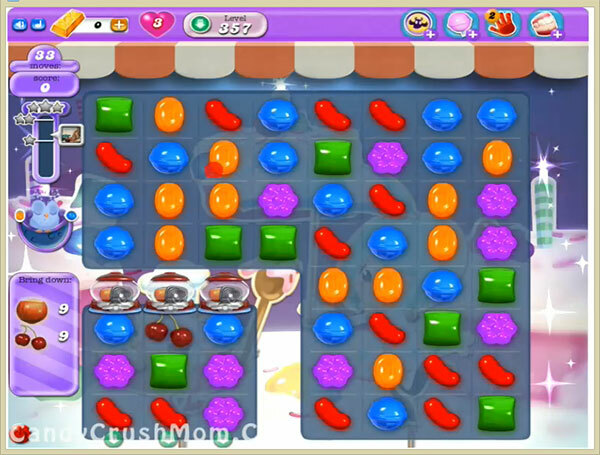 For this level you should try to play fro bottom part of the board and play near to ingredients with making the special candies like wrapped candy. After moonstruck try to make special combo like colorbomb with striped candy to easily reach the requirement. We completed this level with 229320 score using special candies and above technique that we share and easily get two star score at the end.